It's a quite nice spec'd board, shame that they can't think of an original name and feel that they have to jump on the fruit Pi bandwagon. It seems the USP for the Lemon Pi is that there are "perceived" weaknesses in a Pi's USP, therefore it addresses these perceived weaknesses and so will sell. It doesn't actually seem to have a USP of it's own. I've seen enough episodes of Dragons Den to make me think this a fundamentally flawed marketing strategy. BMS Doug wrote: It's a quite nice spec'd board, shame that they can't think of an original name and feel that they have to jump on the fruit Pi bandwagon. If I were making a "Lemon Pi", I'd call it a "Meringue". The clever folks would get the joke. morphy_richards wrote: It seems the USP for the Lemon Pi is that there are "perceived" weaknesses in a Pi's USP, therefore it addresses these perceived weaknesses and so will sell. I'm out. Their indiegogo web page is so full of spelling, English syntax, idiomatic and grammatical errors that it doesn't even look like it's a badly done machine translation. As much as I'd like to spend $25 (£16) the presentation doesn't give me any confidence that it's no just a MLM scam. Its a difficult read isn't it!? It would also seem that a Masters Degree in Computing Science isn't enough to be able to tell the difference between a USB 2.0 port and an Ethernet port!! LOL! DougieLawson wrote: If I were making a "Lemon Pi", I'd call it a "Meringue". The clever folks would get the joke. Heh, I thought myself that calling it a lemon meringue Pi would be a better choice but you are right, it's even better to leave the Pi off the end. A goal of 10000 USD to buy "in quantities" and start mass production? That's ridiculous. And a power supply (DCin) of 5V/700mA if you include 2 USB 2, and one USB 3 port? Well, I like the USB 3.0 host, and 2x USB 2.0 host - it will certainly ease the bandwidth crunch. Will it come to market? Who knows. Will it have a solid port of debian? Who knows. Will it have a community as large as RPI's? Unlikely. So if you do add the perk then you have to forget that you did? What do you do if you don't add it, pretend that you did? Well, if they couldn't put the ethernet port in the same place as it is on the pi, they'll just label whatever is in its place as such. At least in the US..calling something a "lemon" is not a compliment. The name is reminiscent of the problems that General Motors had with the Chevy Nova when they tried to sell them in South America (where "no va" means "doesn't go"). Or (for us older techies) Jack Lemon. W. H. Heydt wrote: ...The name is reminiscent of the problems that General Motors had with the Chevy Nova when they tried to sell them in South America (where "no va" means "doesn't go"). Fair enough, but the connotations of "lemon" are still perjorative. ...The name is reminiscent of the problems that General Motors had with the Chevy Nova when they tried to sell them in South America (where "no va" means "doesn't go"). You can convert your Raspberry into a lemon by adding Win IoT. Last edited by ame on Thu May 21, 2015 4:10 am, edited 1 time in total. Dhooo, you blew one on my favorite story. I beleive that only french canadian would be offended..
Autism/Asperger syndrome: what is your score on this quiz? bobkim started a redundant thread about this board asking about the differences between the Cortex-A7 on the Pi2B and the Cortex-A9 on the Lemon Pi. While the thread was closed as duplicating this one, that's a legit question. You can go here: http://en.wikipedia.org/wiki/List_of_AR ... hitectures to get some comparison data, and follow the links for each core type for details. Note that the table gives a "DMIPS/MHz/core" figure for each core type so you can get a rough guide to performance independent of clock speed. A9 (Lemon Pi): out-of-order superscalar. 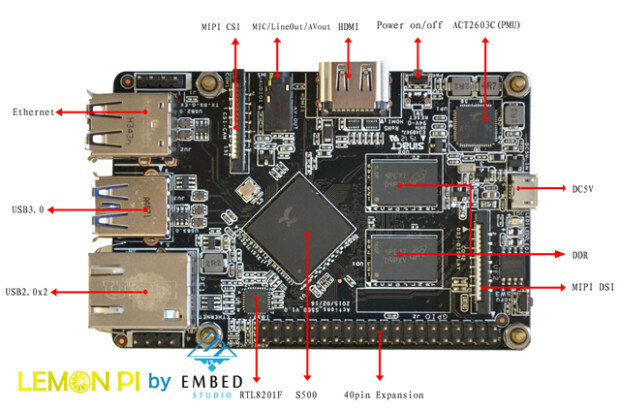 W. H. Heydt wrote: bobkim started a redundant thread about this board asking about the differences between the Cortex-A7 on the Pi2B and the Cortex-A9 on the Lemon Pi. While the thread was closed as duplicating this one, that's a legit question. While true, the LP is claiming that they'll be shipping in August (and there are some supposed to go out earlier), so we'll know one way or the other in about 3 months. The CHIP board...aside from some early shipments (planned starting around September), are scheduled for next May, so that one is a year away. On the other hand, the chip details for the CHIP--as published--are much clearer. The thing you have to bear in mind about ARM is that they are not kings of out-of-order superscalar execution. That crown belongs to Intel and in a big way. The ARM instruction set, being a semi-strict RISC instruction set, was designed around implementing simple in-order cores for low-power, low-area applications. It's only relatively recently that ARM have released designs for superscalar cores and from some of the performance figures, it's clear they have a lot of catching up to do. Wikipedia says 2.5 DMIPS/MHz for the A9 which compares to 1.9 DMIPS/MHz for the A7. Of course you can use a high-speed process and bump the voltage but in the end your energy use per instruction increases quite a bit when you start chasing raw benchmark numbers. The relationship between power and throughput isn't linear when you factor in these two things. Anyone know if there will be a lemon lime pi? Considering there is now a lemon pi. Oh maybe lemon juice pi! but maybe there will be a "Meringue" and we forget the name PI. expandables wrote: Anyone know if there will be a lemon lime pi? Considering there is now a lemon pi. Oh maybe lemon juice pi! Perhaps someone from Florida might make a key lime pi?